Situated Learning is generally understood as a context-dependent approach to translator and interpreter training under which learners are exposed to real-life and/or highly simulated collaborative work environments and tasks, both inside and outside the classroom. Ultimately, Situated Learning seeks to enhance learners’ capacity to think and act like professionals. This book sets out to gauge the extent to which different factors influence the implementation of Situated Learning models in various teaching and learning contexts. It presents an understanding of Situated Learning that goes beyond previous interpretations of this notion, traditionally dominated by the discussion of pedagogical practices in authentic, i.e. real-world, or semi-authentic professional settings. This wider remit of Situated Learning encompasses previously underrepresented contextual factors pertaining to translation traditions, historical trends, community beliefs and customs, socio-economic constraints, market conditions, institutional practices, budgetary issues, or resource availability. The pedagogical considerations of these key aspects make this book particularly useful for both novice and seasoned teachers of translation and interpreting with an interest in informed practical advice on how to implement the principles of Situated Learning in collaborative teaching and learning environments that seek to promote translators’ and/or interpreters’ professional competence. This book was originally published as a special issue of The Interpreter and Translator Trainer. 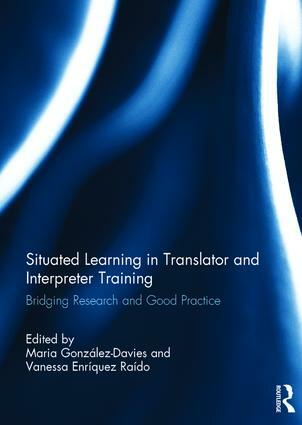 "This publication is a much needed contribution to translator training literature; not only does it shed light on the importance of contextualising and situating the acquisition of translator and interpreter competences, it also showcases transferable practices for the training of would-be translators and interpreters in the 21st century." Maria González-Davies is an Associate Professor in the Foreign Languages and Education Department at the Universitat Ramon Llull, Barcelona, Spain, and Head of its Research Group CILCEAL (Intercultural and Interlinguistic Competence). She is the author of Multiple Voices in the Translation Classroom (2004), and co-author of Medical Translation Step by Step (2007), amongst other publications. Vanessa Enríquez Raído is a Senior Lecturer in Translation Studies at the University of Auckland, New Zealand. She specializes in translation technologies and translator education, and is the author of Translation and Web Searching (2014). Her excellence in translator training and information literacy for translators has resulted in two teaching awards and one research excellence award from the University of Auckland.